Sternberg, M. (1994). American Sign Language Concise Dictionary: Revised Edition. New York: Harper and Row. 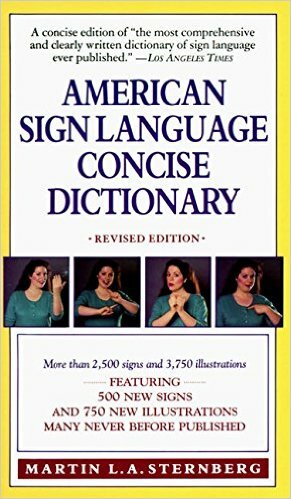 This revised pocket-size edition of the American Sign Language Dictionary contains 1,500 entries of the most commonly used words and phrases in American Sign Language. Entries include clear illustrations and extensive cross-references.